Hi , please look at he pictures , the M300+ was printing beautiful , but in several occasions and around the same height (even different materials - same part printed) it started to get really bad (underextrusion) any idea what causes it? or how to solve it? 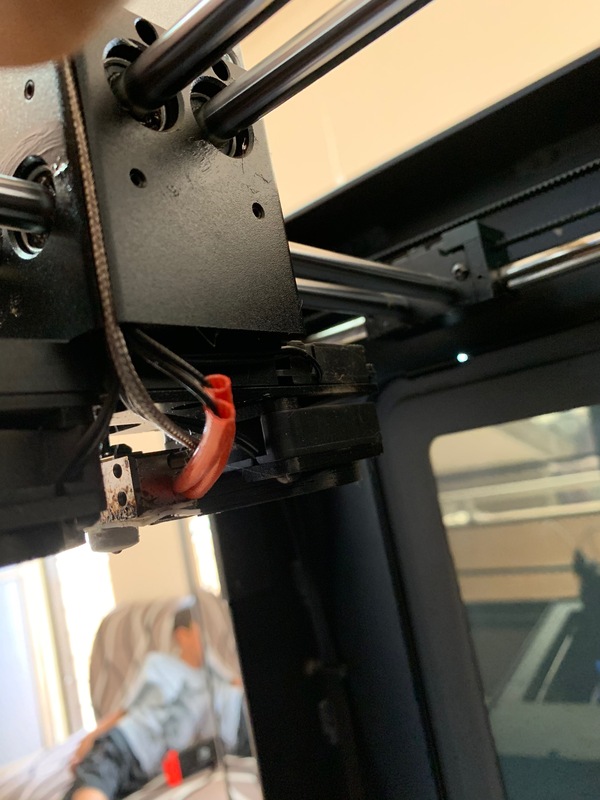 Please, check if all cables are properly plugged into the extruder PCB. It looks like something hooked against the support structures on the right, so I recommend that you make sure whether heater&thermocouple is properly connected to the hotend (as in this instruction). 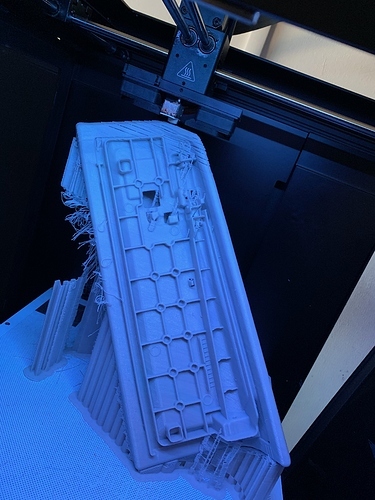 everything looks ok , the issue seems to be just at certain height , two print fail approximately at the same height ; what else could be? hi , tried to load some material , and the gear started to click , you think this is also caused by a bad extruder cable? I don’t see anything wrong in the pictures. 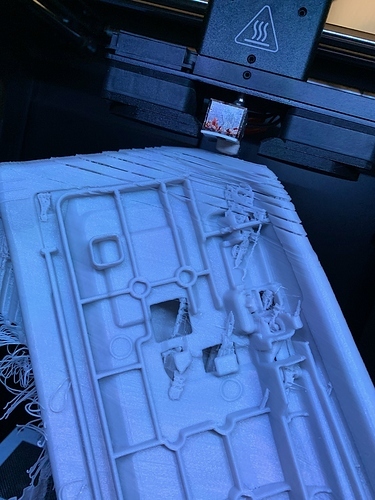 As for the cable - have you managed to load the material past the extruder gear? When does it start to click? 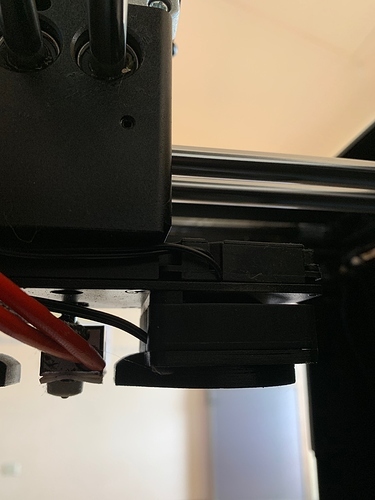 hi, right in the beginning ; first I tough it was the filament , then I pulled back a little (not touching the gear) and it started to click again ; the tried again and now it grab it without clicking. I’ve sent you a PM, please check your inbox.